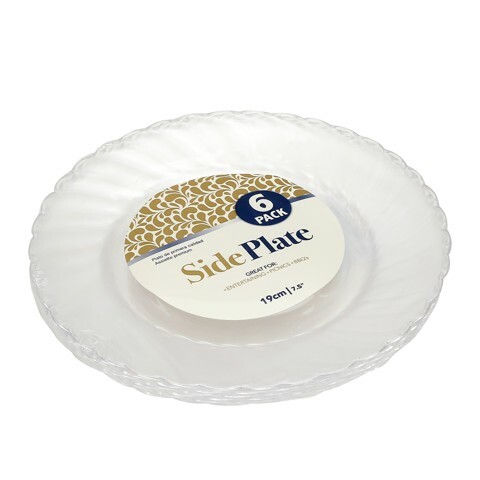 Plate Rnd Deco 19Cm Clr 6Pk. Diameter: 19cm. Clear with Ribbed Sides. PS. 167g Packaging: Shrink Wrap with Colour Label.